Something I get asked quite frequently is how I manage blogging and university, whilst also working a part-time job. Now, don't get me wrong, it can be tough, and there is no one sure fire way to keep on top of everything, but hopefully by sharing a few of my tips, you'll find it a little easier to balance your time. When you have a to-do list as long as your arm, it can be hard to know where to start. During breaks, it's a little easier to post more regularly, however in term time, not so easy. So, while at uni, I reduce my blog post schedule to around two times a week, instead of every other day. This is a much more attainable goal, meaning that you're not overwhelmed or under pressure to create new content constantly. This is pretty similar to the first tip, but planning content in advance really is the key to keeping on track. If you have posts lined up for the week, all you need to do is simply press post, and you're done - leaving you with plenty of time to concentrate on uni, and also plan for the next week, too. For example, I use Sunday's to shoot my outfit posts; I usually try and shoot three looks in the morning, then spend the afternoon editing and writing the post for each one, so I'm all set for the week ahead. This is something I'm definitely still trying to get the hang of. I'm too much of a people-pleaser, meaning I'm always offering to do things for other such as cover shifts at work, even if I know I don't have the time or energy to do so. Obviously, saying yes can provide great opportunities, which by no means is a bad thing, but it's about learning when to say yes, and when not to. Taking on too much will not only wear you out, but will leave you no time to concentrate on work - be it blogging or uni/college etc. 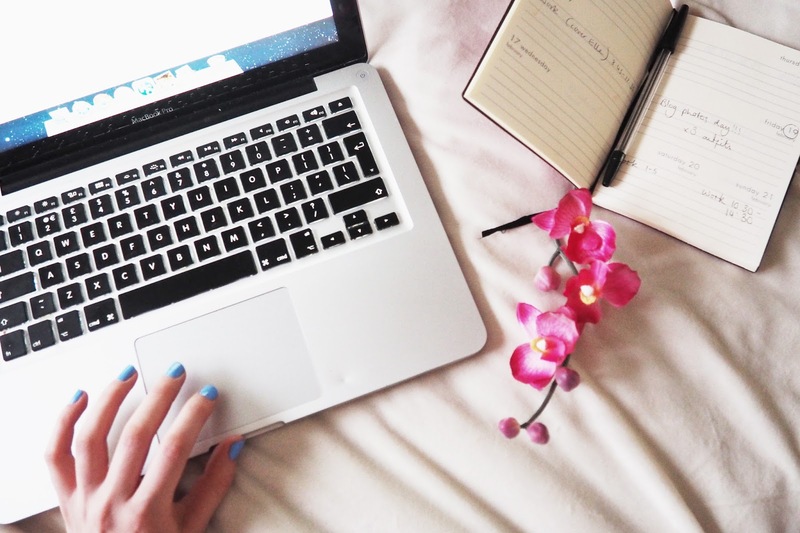 So those are my top tips for balancing blogging and university. I'm still finding out what works best for me, but I'm OK with that. I'm happy with where my blog is at, and as long as I take a break when I need to (another important tip!) it gives me the motivation to get straight back to blogging again. Let me know in the comments if you found any of these tips helpful, or have any advice of your own for balancing blogging with daily life! This post is in collaboration with Boohoo and first appeared on their StyleFix blog, which you can check out here. All words & images my own. Such a great post. Planning is so key - I thought it was bad during uni but full time is a heller! Thank you - oh God I can imagine! Finding the time to fit it all in is the biggest challenge for me, but I'm managing OK I think haha! It's the worst feeling when you know you can't post as often, but I just try and make the posts less frequent but focus a lot more on the quality. I much prefer a blog with great content once a week than one that posts daily but has pretty poor quality. Just think of it that way, and set aside one day a week to shoot the photos and draft up a post!